Looking for the best dental implant in Vasundhara Ghaziabad. Dr. Malvika Jain Dental Clinic is the leading dental implant in Vasundhara Ghaziabad. Dr. Malvika Jain has more than 14-years of experience in dental surgery and dental implant. A Dental implant is a technique whereby we can replace natural lost teeth and its root. In this technique, we surgically implant artificial teeth into the jawbone to change one or more missing teeth. The dental implant works as a replacement for the root of a lost tooth. The process of attachment between the dental implant and jawbone is called Osseointegration. Most of the dental implant is made of titanium. Now, the success rate of dental implant is more than 98%. Improved Comfort: Dental implant increases the comfort of your mouth. Improved Appearance: With the help of a dental implant, your artificial teeth look like your natural teeth. Easier Eating: After a dental implant, you can easily eat any type of food and this tooth will look like your natural teeth. 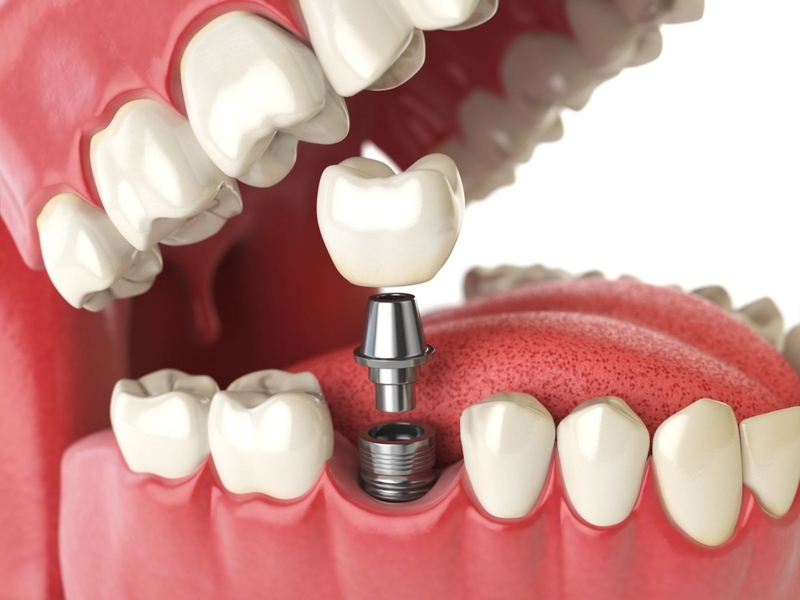 Improve Speech: Dental implant is such treatment that also improves the speech of a person. Durability: If you care your teeth in a good manner, you will have long-lasting results after dental implant. Endosteal type of dental implant refers to an implant that is “in the bone”. Subperiosteal type of dental implant refers to an implant that rests on top of the jawbone under the gum tissue. Subperiosteal treatment is not used now a day because of their worst long-term results in comparison of an endosteal dental implant. If you want to hire an experienced and trained dental implant surgeon in Vasundhara. Dial Dr. Malvika Jain Dental Clinic’s phone number 9899995102 or you can book an appointment by visiting our website. « What is orthodontic treatment? drmalvikajaindentalclinic is using Hatena Blog. Would you like to try it too?